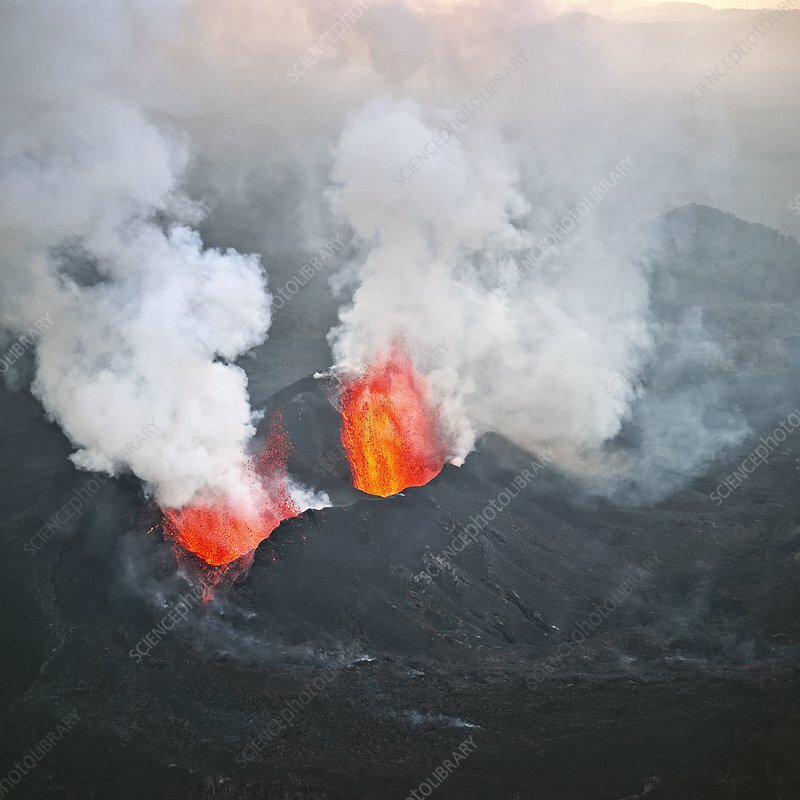 Aerial photograph of Nyamulagira volcano, located on the border of Ruanda and The Democratic Republic of Congo. Nyamulagira is currently Africa's most active volcano. It erupts every couple of years. Fountains of molten rock shoot out of its vents on the mountain side, forming new craters. The volcano is very difficult to reach. This aerial image was taken during a flight over the crater in June 2004.